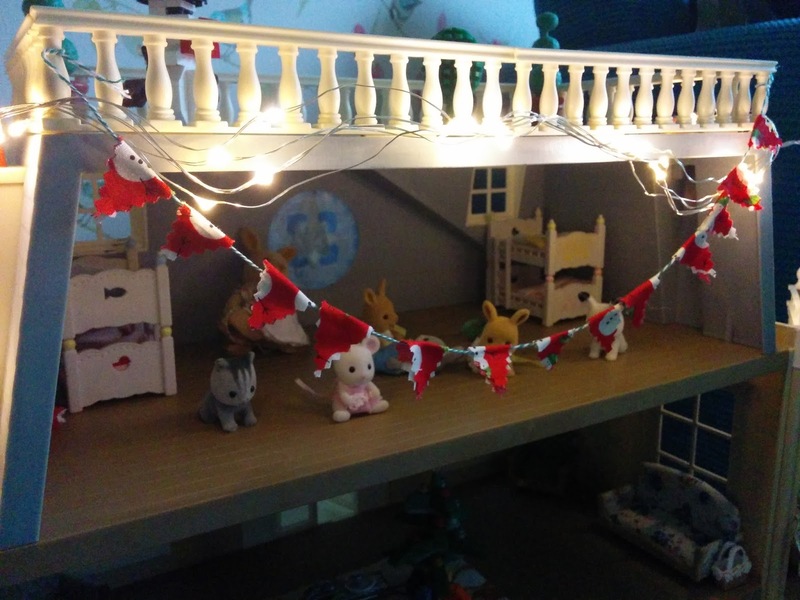 Christmas festivities are well underway in our house. 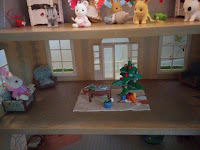 We managed to hold off until 1st December to get the Christmas tree up despite pestering from Miss R and Little Miss L.
Our house is festooned in pretty lights and lots of shiny tinsel and baubles. We didn't want the Sylvanian Families to feel left out so it was time to get crafty! 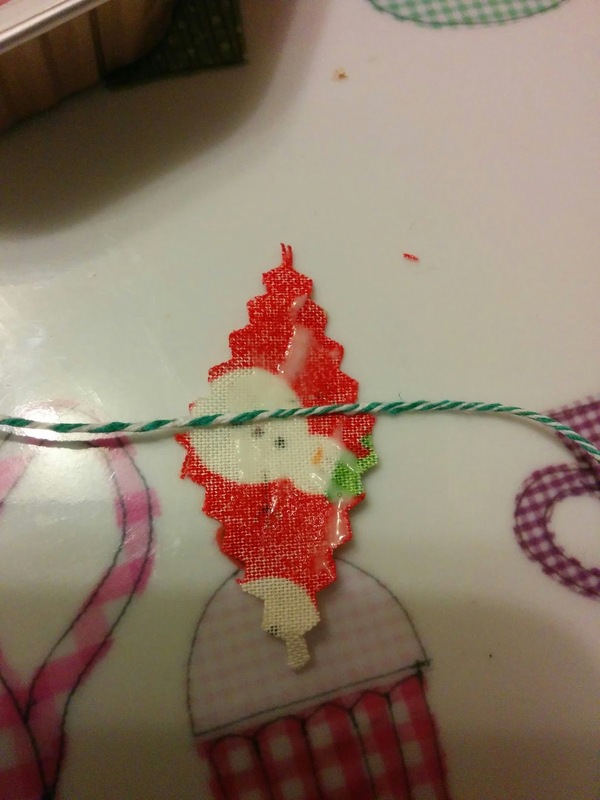 Cover the reverse side of your fabric diamonds in glue and then place the bakers twine down the middle. 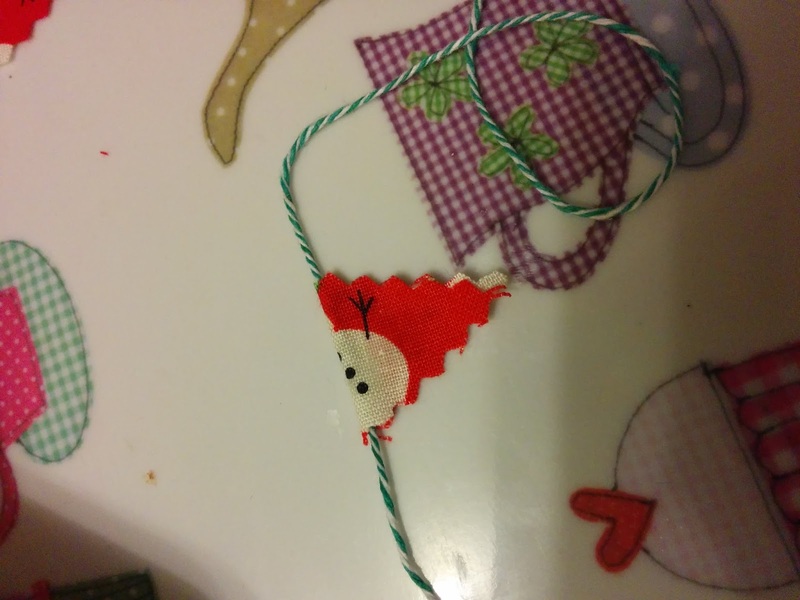 This is perfect to do with kids - it doesn't matter if you get too much glue on the fabric - it will dry clear anyway. 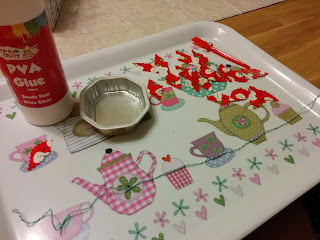 Also, my girls decided that the glue sticks were for wimps and went with poking their fingers into the glue to then wipe onto the fabric...it was more precise *apparently*. 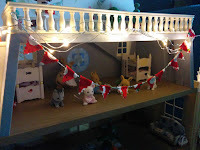 The girls decided to string up the bunting and add some battery operated fairy lights to the top floor of the Grand Hotel. 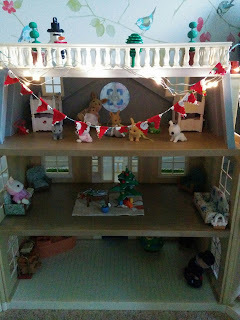 With a Lego Christmas tree in the 'drawing room' the Sylvanian guests are now all ready for the Christmas party season!